Microsoft Jackpot is a well designed casino slots game app for Windows 8 and 8.1 which allows you to play casino on your Windows 8 or 8.1 device. The game allows you to choose from a large collection of level themes from where you can play the casino game and have a lot of fun. The game has incredible graphics, but is a bit heavy on size, weighing over 200 Mb. Overall performance of the game is great and the game makes for a nice download on any device running Windows 8 or higher. The game is a must have if you are a fan of casino. 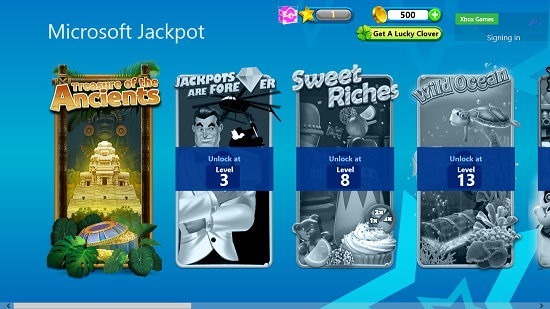 Microsoft Jackpot is available for free from the Windows App Store. When you launch the game, you will first receive a daily bonus if it’s your first launch for the day. Once that’s done with, you will be taken to the level selection screen. 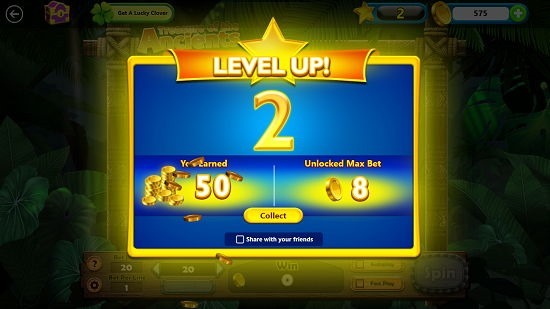 Initially, only the first level is unlocked, but more levels get unlocked as you garner more winnings and level up in the game. The game syncs up with your Xbox live account as well, so all your progress gets synced up. 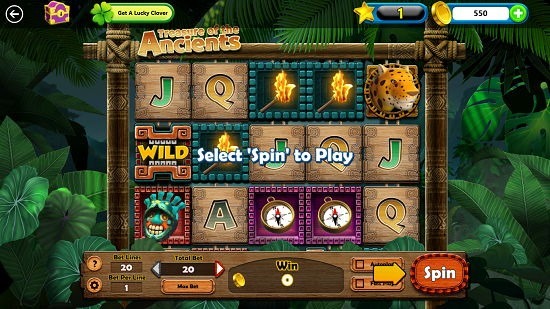 You can see the gameplay screen after a level has been selected in the screenshot below. Initially, you will be shown a brief tutorial when you play the game for the first time on your device. 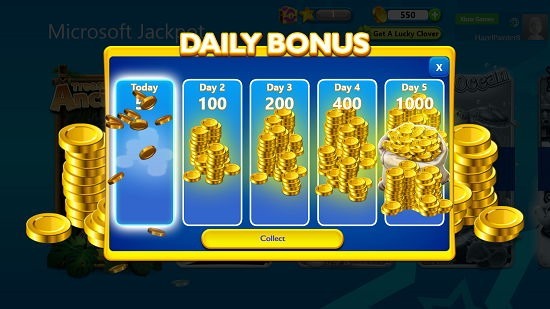 Basically, you have to raise your bet based on the savings that you have, and your total winnings will be shown to you once your level is complete. You can return to the previous screen via the back arrow button at the top left. 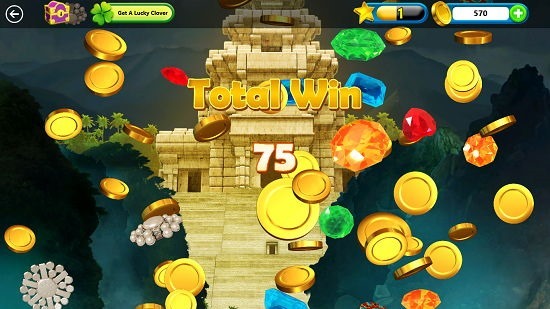 Throughout the game, you keep leveling up as you play more and more games. You can see that I leveled up in the below screen. Overall the game makes for a great download on all devices, as it works fully well on low-end devices as well. 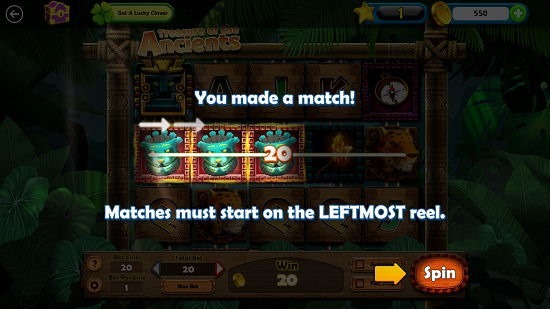 The game is based on simple mouse clicks, and all you need, is a little bit of luck to get the most out of this game! Microsoft Jackpot makes for a great download on all devices running Windows 8 or 8.1. Having been developed officially by Microsoft Studios, the game will work on most computers running Windows 8 or above, and you can be rest assured that the graphic performance is going to be as flawless as it can get. I definitely recommend this game to everyone!